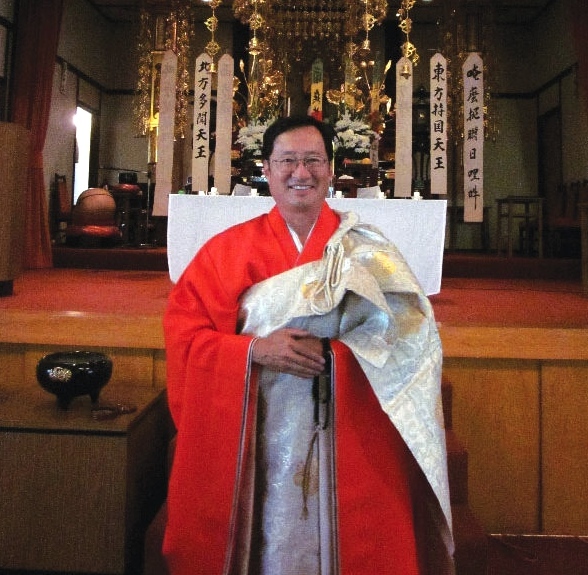 OBITUARY: Tom Kurai, Head Minister at Sozenji and Founder of Taiko Center of L.A.
You are at:Home»English»Community News»OBITUARY: Tom Kurai, Head Minister at Sozenji and Founder of Taiko Center of L.A. The following announcement was made on July 3 by David Isobe, president of the Board of Directors of Sozenji Buddhist Temple in Montebello. It is with great sadness and sorrow to inform you of the passing of our beloved minister, Rev. Shuichi Thomas Kurai. He passed away peacefully at City of Hope, Duarte, from complications arising from leukemia on Friday, June 29, 2018, around 5:00 p.m. I have known Rev. Kurai since we were children going to Sunday School at Zenshuji Soto Mission Buddhist Temple in Little Tokyo, Los Angeles. His father, the late Rev. Shuyu Hideo Kurai, was a resident minister at Zenshuji for 17 years. In 1971, the elder Rev. Kurai established Sozenji Buddhist Temple. In 1978, Rev. Kurai began teaching the Japanese art of taiko drumming to Sunday School children at Sozenji. He pursued his passion for taiko drumming and later established the Taiko Center of Los Angeles. He was one of the pioneers in popularizing taiko drumming here in the states and as far away as Italy, where he is a revered sensei at Fudenji Buddhist Monastery. Inspired by his father, Rev. Kurai traveled to Japan from 1980 to 1983 to study Japanese language, traditional folk music, including taiko drumming, and trained as a Buddhist monk in a Zen monastery. When Rev. Kurai returned to the U.S., he continued teaching and performing taiko and in 1996, he became head minister at Sozenji Buddhist Temple. When Rev. Kurai was first diagnosed with leukemia in early 2017, the community rallied to his cause. We are eternally grateful to all those who took the time to spread the word, participated in bone marrow donor registration drives, prayed for his recovery, and especially to the anonymous donor who donated the cells for Rev. Kurai’s bone marrow transplant. We will never forget the outpouring of love and support from all those who knew him. Thank you all so very much. Funeral services will be conducted on Wednesday, July 18, 2018 at 7:00 p.m. at Sozenji Buddhist Temple. A second formal ceremony will be conducted in October or November this year. [Kinei] Otogawa Sensei, a very high ranking priest and director at Sojiji, one of the main headquarters of Soto Zen in Japan, wishes to honor Rev. Kurai by officiating this formal ceremony. Otogawa Sensei has been a long-time supporter of Rev. Kurai and Sozenji Buddhist Temple. It is a great honor for us to have him officiate at this service. You will be notified when plans for this ceremony are finalized. Rev. Kurai is survived by his son Garrett, daughter-in-law Evette, grandson Cody, and his sisters Emiko Razo and Judy Fujii. My Condolences, I’m so sad, have a honor to take Taiko classes at his guidance, I moved out town for last 3 years , just came back and try to contact he again OMG….